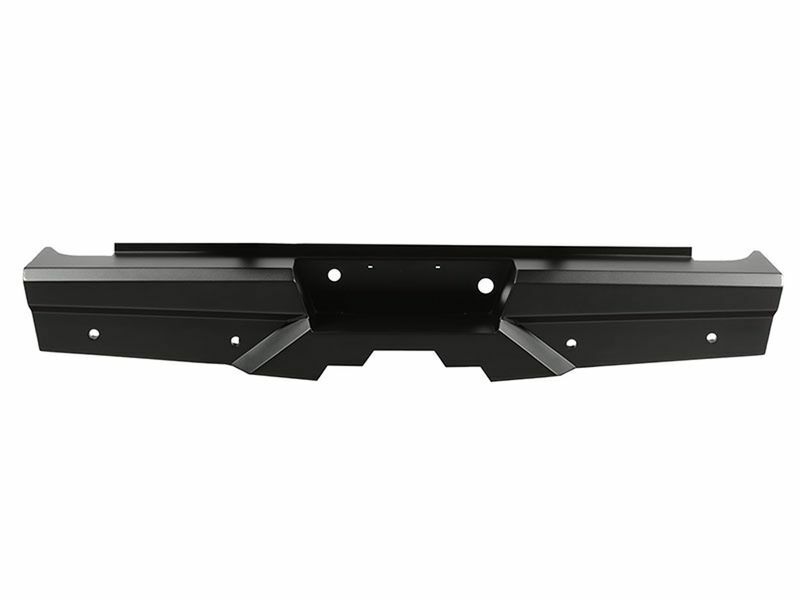 Keep your rear protected with the Steelcraft Elevation rear bumper. A top of the line rugged bumper made from quality material and constructed in a solid one piece design, the Elevation bumper is going to last and withstand the daily wear and tear you put it through. Get rid of that wore out stock bumper and throw on a new Steelcraft Elevation rear bumper. These rear bumpers are going to protect you and your vehicle when it matters. The one piece design allows a sleek and rugged look that is going to transform your truck! The black E-coated finish is going to withstand the elements and keep your ride looking good. The Steelcraft Elevation rear bumper comes with a two year limited warranty so get yours and add some style and protection to your truck! © 2019 Bumper Commander. All rights reserved.